A delicious treat for all of the family. 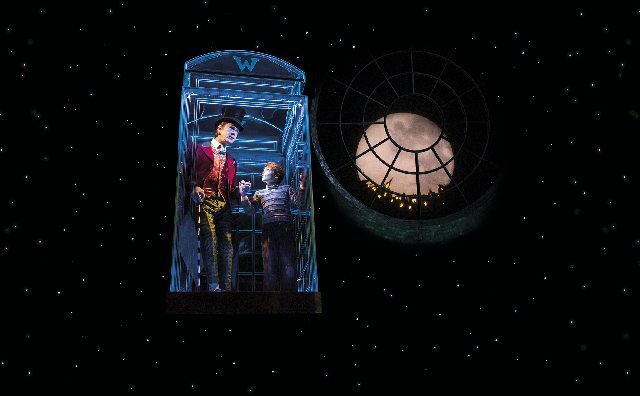 I first saw Charlie and the Chocolate Factory in June 2013 when it was just starting life in the West End. Returning two years later, I was delighted to see how much the show has grown into a truly spectacular chocolate sensation! My initial reservations with show were that Act One seemed to drag compared with the colourful Act Two and that the songs were not memorable enough. Now I have to say that the pace seems to have shifted into the right gear with the first Act now seemingly more like a slightly lighter hearted Dickens novel. This now juxtaposes beautifully with the wow-factor of the Second Act in a Wizard of Ozian dark to light style. Songs which failed to impress me in 2013 were delivered with a new bite, especially Veruca Salt’s arrogant “When Veruca Says,” and Violet’s sassy “Double Bubble Duchess.” Even “It Must Be Believed to Be Seen,” and “Strike That! Reverse It!” have been replaying through my head! There was never any doubt back in 2013 that “Pure Imagination,” was the heartfelt “11 o’clock” number and this is still the case now. 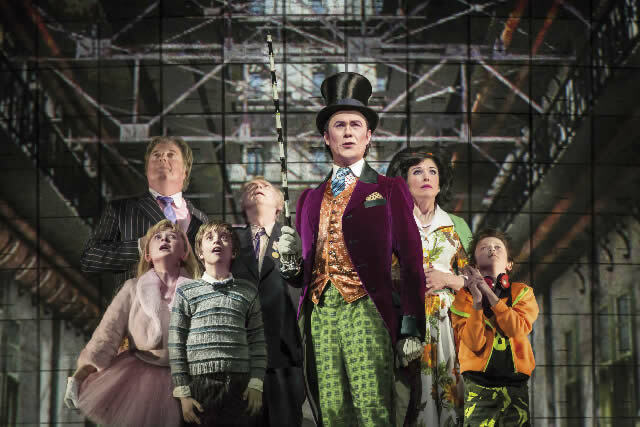 Beautifully sung by Alex Jennings as Willy Wonka and Rhys Lambert as Charlie, Imagination is the shows swansong. 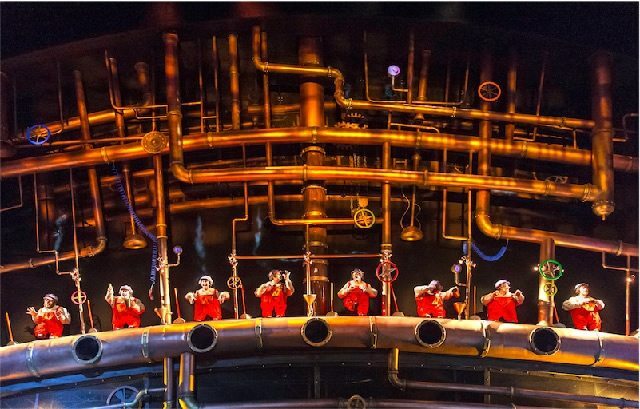 It is the moment where visuals, performance and music come together in a lovely harmony. For me the stand out feature of this show is its wonderful set design by Mark Thompson, who adds an almost Tim Burton-esque dash of cartoon to the stage. Buildings, doorways and machines are big and bold; exactly as a child would imagine, or perhaps as a mad-hat sweet toothed inventor would build them. For me, I like the replacement cast perhaps even more than the original. I found Jennings to be the perfect blend of crazy and naïve, making him an endearing Willy Wonker which works better during the shows more sentimental moments. All of the children I saw on the evening I attended the performance were very professional indeed, especially Lambert who heads the troupe. Whilst many of the children are caricatures; Veruca the spoiled brat, Mike Teavee the video junkie and Augustus Gloop, the glutton, all play up to this well and juxtapose nicely with Charlie’s sincerity. 31 March 2015 - A delicious treat for all of the family.